Born between 1980 and 1999, the citizens of Generation Y, better known as millennials, now make up a large proportion of current and potential flight students. And while they have a less-than-stellar reputation for being too confident and entitled, millennials have a lot of admirable qualities, too. Beyond your opinion of millennials, there are enough of them to really make an impact on our economy. And general aviation will need to follow suit - or be left out. 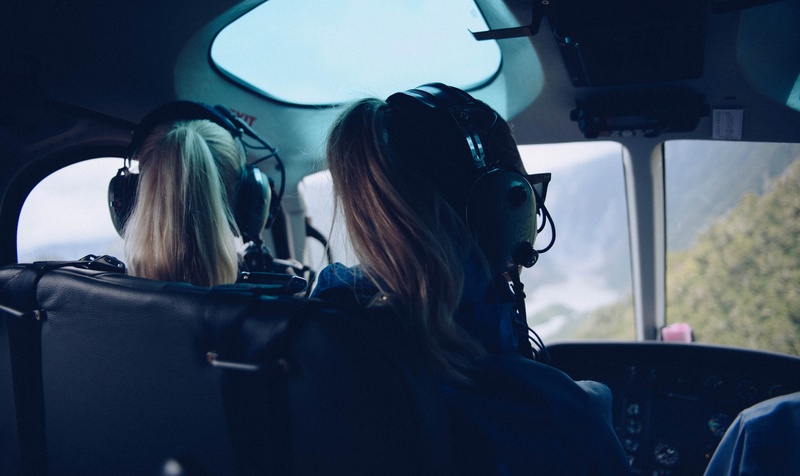 Millennials are not only our future flight students - they’re our future flight instructors, airline pilots, aviation business owners, and aviation leaders. And with the expendable income they have, they’re our biggest opportunity to keep general aviation alive. We need to encourage them, support them, and teach them the successes and failures of our past generations. We need to fully embrace them, and to do that, we need to change how we’re teaching them. Here are a few tips for embracing the millennial generation as flight instructors and flight training institutions. No, not just your iPhone. All of it. Apple watches, iPay, electronic logbooks, ForeFlight, raspberry pi ADS-B units… the millennial generation leaves the rest of us in the dark when it comes to technology. It can be easy to feel left behind, but before you resign to the fact that you’re just too old, take the opportunity to learn from your students. Listen to what they’re saying. Try to stay in touch. Millennials are the smartest generation yet with regards to technology. Pay attention and stay curious - it’s good for us to learn something new every now and then, too! It’s no surprise that millennials spend a lot of time on social media. And it’s where we need to be, too, if we want to reach them. But before you go “friending” all your students and customers on Facebook or Instagram, realize that they don’t actually want to be your friend, per se. They just want you to be useful. They want to tell their friends how cool you are. Give them that ability by just being on social media. Offer information that is useful or interesting like a blog or flying videos. Share cool stories. Respond to their comments. Be relevant. Engage them. If you’re good, they’ll tell everyone for you. It’s the best type of marketing, but more than that, it’s building a relationship that they will respect and appreciate. Generation Y is only interested in the answers, not necessarily why or how we get to the answers - and that can be a problem. It is our job to require more from them, to get them to think critically, and to inspire discovery in them. But while millennials remain curious and open-minded and like to explore and discover, they don’t like to explore and discover territory that’s already been claimed. Give them a new challenge - but do it fast. The old-school method of lecturing while your student takes notes is, well, old-school. Millennials can’t be bothered with note-taking (although I will always insist!). Our job is to make them realize that this fire-hose of information is not just going to make its way into their brains by way of telepathy or YouTube. Ask them how they want to learn, how they want to remember, how they intend to study, etc. without taking notes. It’s our job to tell them that while their generation might not take notes, being a pilot will require a bit more effort than what they’re used to in order to really learn all of the things. While previous generations were busy instilling a deep sense of personal responsibility onto its citizens, today’s generation is all about collaborating. As an instructor or a flight school, we should be fostering this collaboration. Create an online space where flight students can come together as a team. Create opportunities in which students can physically study together. Have group study sessions via Google Chat or another online medium. Getting them together ensures that they share ideas and learn from each other. Let’s join this movement. It’s a step in the right direction for all of us. Strengthen critical thinking and decision making skills through scenario-based training. The FAA has been asking us to jump on board with situational-based training for years, and as it turns out, it’s what the millennials need, too. They have a strong desire for each teaching topic to be relatable to real-life. If this is how they learn, let’s include these real-life scenarios more often in our training. Contrary to what some believe, millennials are not all ego. They are an asset and they are ready and eager to learn. We can either roll over and moan about the bad habits of the next generations (as our parents did), or we can be active participants and do our part to pass on the information that we inherited from our predecessors. Let’s do our part.